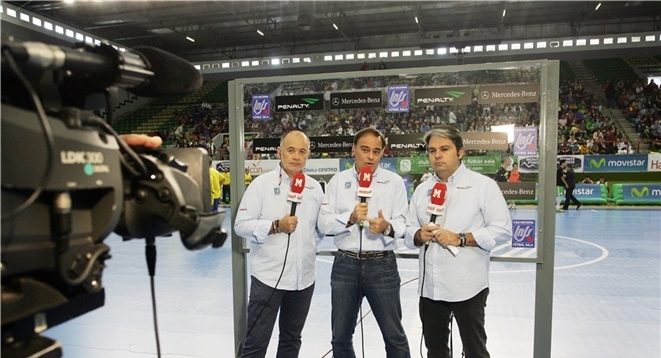 The 2015/2016 European futsal season is coming to an end with most leagues being decided over the next month. So that you can catch the best of the action I have created a schedule for the Playoff games from the four top leag ues (Spain, Russia, Italy & Portugal). If you need help finding how to watch the games see below the schedule. I will try to keep it up to date. As well as each country specific link check the FutsalPlanet Twitter and Facebook page and the Mio Futsal Facebook page as both regularly post links. Spain: Some games will be streamed on YouTube through LNFSDirecto.es. Many games will be shown on Teledeporte and Barca games on TV3 as well. The Teledeporte or TV3 website will show the games but you need your virtual location to be in Spain (You can use a free VPN program such as Cyberghost to very simply change your location). Alternatively, you can find ‘unofficial’ links by searching ‘Teledeporte streaming’ or check for a link on the Rojadirecta site. Russia: Russian games are very easy to watch as they are all available on the league website. Look for the news article with the match schedule on. Italy: Easiest place to watch Italian games is on the league website where they sometimes stream them. Just go to the news about the game. If not, they are regularly shown on Rai Sport. You can watch on the Rai Sport website but sometimes you need to change your virtual location to Italy (You can use a free VPN program such as Cyberghost to very simply change your location). Portugal: Games are shown on RTP. Go on the RTP website to watch. Doug, do you know is there any live streaming from Qatar Futsal Intercontinatnal Cup 2016 these days?